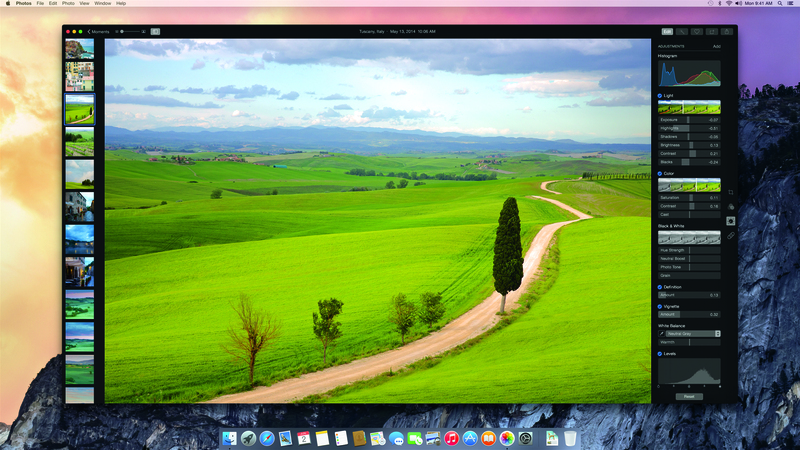 Con l'arrivo di OS X 10.10 Yosemite, Apple abbandonerà lo sviluppo sia di Aperture sia di iPhoto a favore della nuova app multipiattaforma Photos. Sono molto curioso. "With the introduction of the new Photos app and iCloud Photo Library, enabling you to safely store all of your photos in iCloud and access them from anywhere, there will be no new development of Aperture," said Apple in a statement provided to The Loop. "When Photos for OS X ships next year, users will be able to migrate their existing Aperture libraries to Photos for OS X."